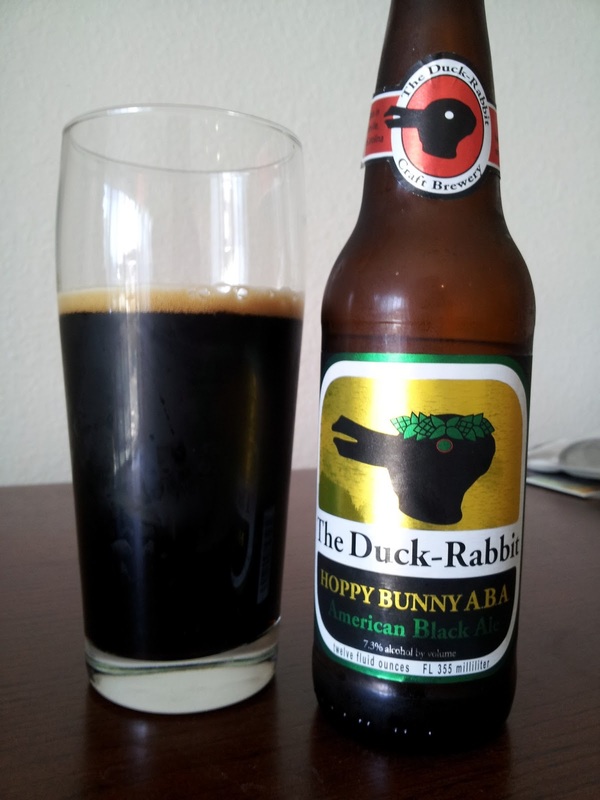 After hearing Duck-Rabbit is the self-proclaimed "dark beer specialists", I became intrigued to taste their take on a style that is, well, dark, but also rarely attempted. And easy to screw up! For me the gold standard is Deschutes' Hop in the Dark (HoD), and this is a close competitor to HoD, if not an equal. The taste on Hoppy Bunny is exceptionally smooth, which runs counter to most peoples' expectation of what a 'dark beer' tastes like. Its nicely hoppy and crafted with just enough dark stuff to be a CDA: definitely not a traditional IPA, but definitely not a porter. It's 7.3% and has a kickass NSP too. If there's anything to complain about, it might be the slightly sour/acidic finish, but it's hard to justify such a petty criticism. HoD is still king to me, but I'm very impressed. So there goes another North Carolina brewery making world class beer. Nice. I do have to wonder if the brewery created the label after the name, or the label design steered the brewery naming process. Depending on your perspective, the cartoon on the label can be either a duck (facing the left), or a rabbit (facing the right). How cute.